So it's probably a tad early to be posting autumn shots. Nevertheless, I wanted to share this photo from Rainbow Falls taken last fall (during a dry spell). 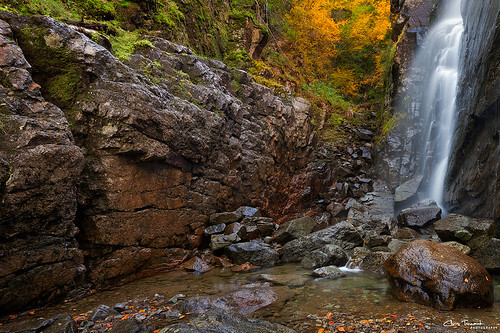 This image is used for the month of September in the 2014 Adirondack Life calendar.